Daryl Johnson (Worcester Park, United Kingdom) on 2 May 2010 in Architecture. You made me very curious with these shots of what was saved of Wright's Imperial Hotel! Must see by myself! @Japanalia: Thanks Gabriela! I recommend a couple of days' visit to Inuyama! A very impressive building indeed! 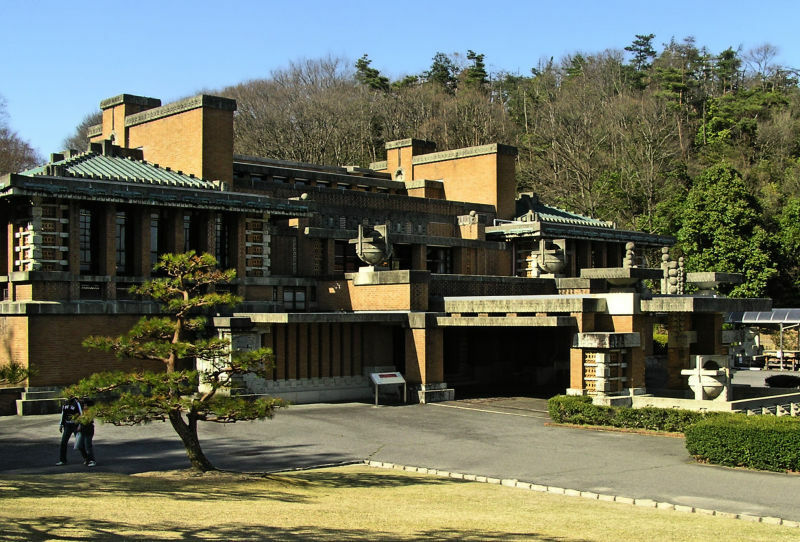 I was not aware that there are works of Frank Lloyd Wright in Japan! A nice view of the building and the beautiful tree in front. Very nice. Beautiful! I had to show my wife your post from yesterday. She's a big fan of Frank Lloyd Wright's work. @Steve Rice: Thanks Steve! I love his buildings too. Such mastery of form . .